Faith Ed, which turns two in August, got a national boost last week. I was interviewed about a church/state controversy on PrimeTime Live with Ashleigh Banfield. Click on the link if you want to see a segment of my interview on Primetime Justice. The controversy was about a before-school Bible study club for elementary students at a Tennessee school. The Freedom From Religion Foundation had sent the school system a letter questioning who was sponsoring the club. For if teachers or school officials were running the club, it was indeed a separation of church and state. When I was interviewed, though, the only news report out did not specify who was in charge. It hinted that it could be the school because the school district immediately closed the club after getting the written inquiry. A later Patheos blog post noted that two public school teachers indeed were overseeing the youngsters’ Bible study — a definite no-no. 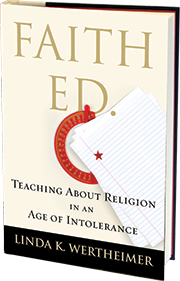 Faith Ed tries to move the conversation forward on religion in public schools. How can schools legally teach about the world’s religions as a way to reduce religious ignorance and in the ideal world, cut down on bigotry toward religious minorities? Courts already decided decades ago that school-sponsored promotion of one religion was wrong, but problems continually pop up. Author Katherine Stewart wrote The Good News Club about an evangelical Christian organization’s push to get after-school devotional Christianity clubs on school campuses. I highly recommend it if you’re interested in learning more about what’s legal and what is not and where the gray areas are for school-based religious clubs. Meanwhile, I continue giving talks about schools’ efforts to teach about religion and how to navigate such a prickly topic in today’s polarizing times. I’ll speak to teachers in Naperville, IL, in July and recently was invited to speak at the National Council of the Social Studies annual conference – to be held in November in San Francisco. Stay tuned for more details. On April 30, I spoke at a breakfast lecture series at Temple Emanuel in Andover, Mass. 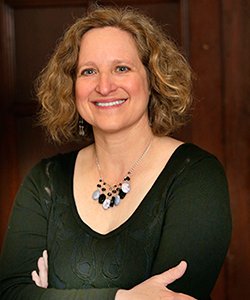 Roberta Braverman started the series to prompt dialogue on interfaith issues. Many thanks to Roberta and Temple Emanuel for its hospitality and thoughtful dialogue. Interested in having me speak to your organization or to teachers at your school? Contact Suzanne Swift at the Read On Speakers Bureau to book me and inquire about speaking fees: Email: readon@jewishbooks.org. Tagged Faith Ed, Freedom From Religion Foundation, Katherine Stewart, Linda K. Wertheimer, PrimeTime Justice with Ashleigh Banfield, public schools and religion, religion, separation of church and state, The Good News Club. Bookmark the permalink.